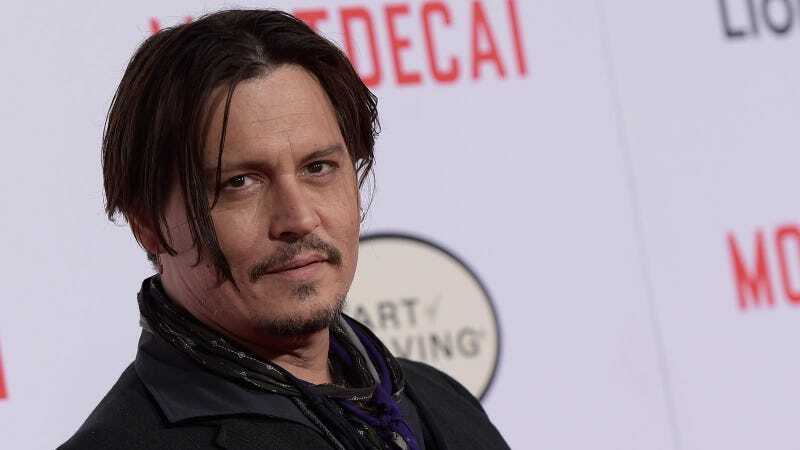 Johnny Depp, whose descent from generally beloved superstar to accused domestic abuser and disheveled, potentially penniless wino happened seemingly almost overnight, is reportedly adding a new character trait to his increasingly bizarre repertoire: eccentric recluse! The one problem he’s having (apart from the rumor that he’s flat broke, which could prevent this whole wacky thing from happening altogether) is that the owner of a sixth house on the cul-de-sac is refusing to sell, and Depp can’t construct his weirdo labyrinth without it. My question is, who in their right mind would feel comfortable living between five homes owned by Johnny Depp? Sell! Sell now! Sell yesterday! Blac Chyna’s “alleged managers” (an A+ description) may sue the reality star/Instagram con artist for “at least $3 million in unpaid fees” stemming from a 10-year contract she signed with them in 2007. They claim to have made Chyna “a thing” and will go after “producers of her reality show” if she doesn’t pay up. TMZ writes Jason Alston and Lincoln Hayes have “sent letters to NBCUniversal, Ryan Seacrest Productions and Bunim/Murray Productions” letting them know a lawsuit is imminent. Oh how the never-quite-as-mighty-as-they-thought have fallen. Hahaha, of course he doesn’t! What a dummy. Hahaha, my idiot friend George.